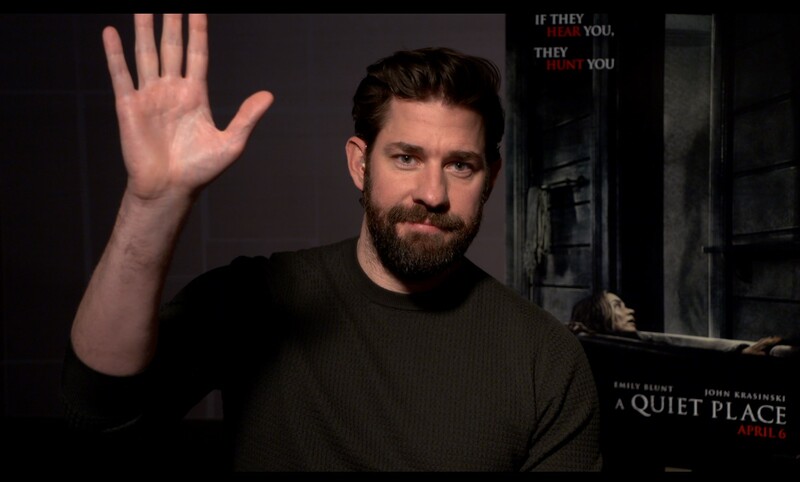 To promote his new film, “A Quiet Place,” writer-actor-director John Krasinski, best known for his role as Jim Halpert in the NBC sitcom “The Office,” took part in a Google Hangout interview with representatives from college newspapers across the country, including The Argus. The film, produced by Wesleyan alumni Michael Bay ’86 and Brad Fuller ’86, follows a family of four as they live in silence to avoid mysterious creatures that hunt and kill anyone they can hear. Krasinski stars as the family patriarch and performs alongside Emily Blunt (his real-life wife), and Millicent Simmons and Noah Jupe as their young children. With another child on the way, the family must learn to navigate and thrive in their new, dangerous world. 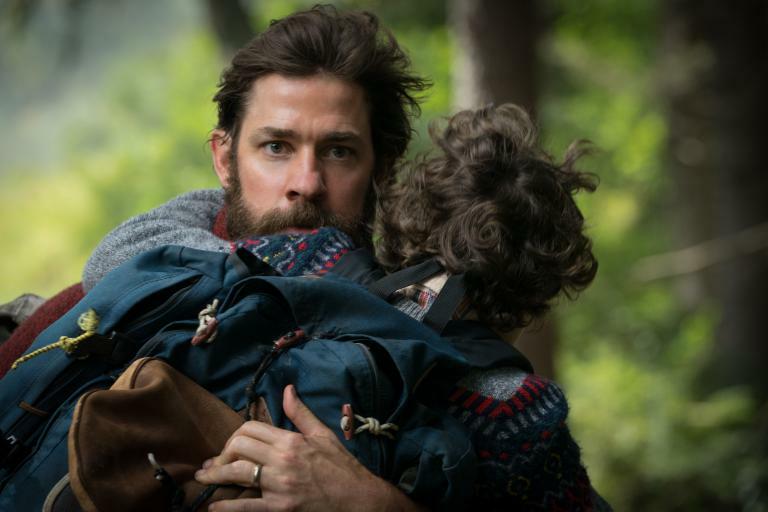 For Krasinski, the appeal of doing the film wasn’t its genre, but rather its focus on a family’s fight for survival. He first read the script after working with Bay and Fuller on the upcoming Amazon TV show “Tom Clancy’s Jack Ryan.” The two producers had their hands on the script by writing duo Bryan Woods and Scott Beck, who approached Krasinski to see if he’d be interested in playing the lead role. At the time, he was uninterested due to his fear of watching horror films. Still, when he read the script, he immediately connected with it. As someone who doesn’t watch horror films, Krasinski was nervous when writing and directing the film. Still, he saw his inexperience with the genre as a kind of bonus. Instead of focusing on genre conventions, Krasinski thought about what would scare him in a movie, and crafted the film accordingly. But Krasinski pulled inspiration from sources dating back decades and spanning genres. For production design, Krasinski drew inspiration from an unusual source for horror: Westerns. Working alongside his Oscar-nominated production designer, Jeffrey Beecroft (“Dances With Wolves;” “12 Monkeys”), the two used classic Westerns as a starting point for designing the family’s barn, the main setting of the film. They hoped to create a setting that had a broad, sweeping feel to it, one that resembles classic Hollywood movies. 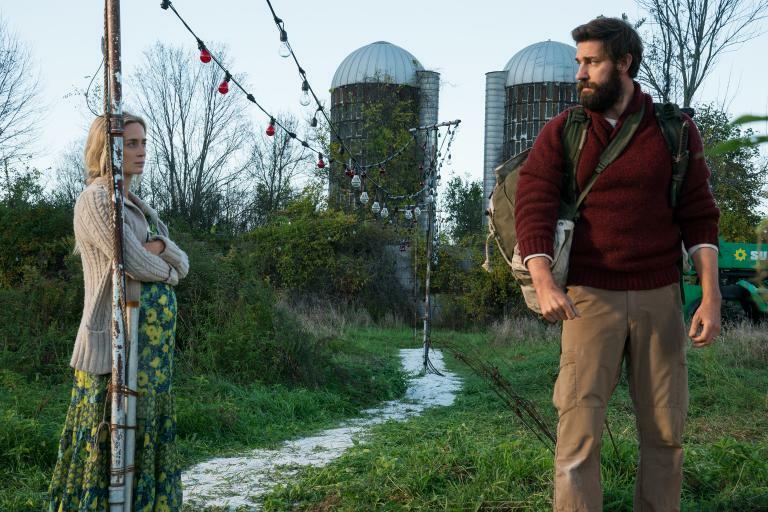 Of course, most directors and writers have the freedom to use as much dialogue as needed to tell their story; with “A Quiet Place,” Krasinski was forced to work with almost no dialogue, but still tell a compelling story with compelling characters. However, Krasinski believes this limitation actually helped him tell a better story. The emphasis on silence created another challenge: for the family to communicate, they have to use sign language, which meant the cast would have to learn it too. But Krasinski ultimately cherished this opportunity. He praised his co-star Simmons, who is herself deaf, for being a gentle and kind teacher. Krasinski’s only regret is that he didn’t learn more ASL, which he claimed was the most beautiful language. On working with Blunt, Krasinski repeatedly called the experience “amazing.” Blunt read the script while filming “Mary Poppins Returns,” (“Small little indie movie,” Krasinski joked) and became interested in the script for the same reasons as her husband. The focus on a family trying to protect themselves hit home for Blunt, who had just had the couple’s second child. While she had initially thought of a friend for the role, by the time she finished reading the script she knew she had to be in it. 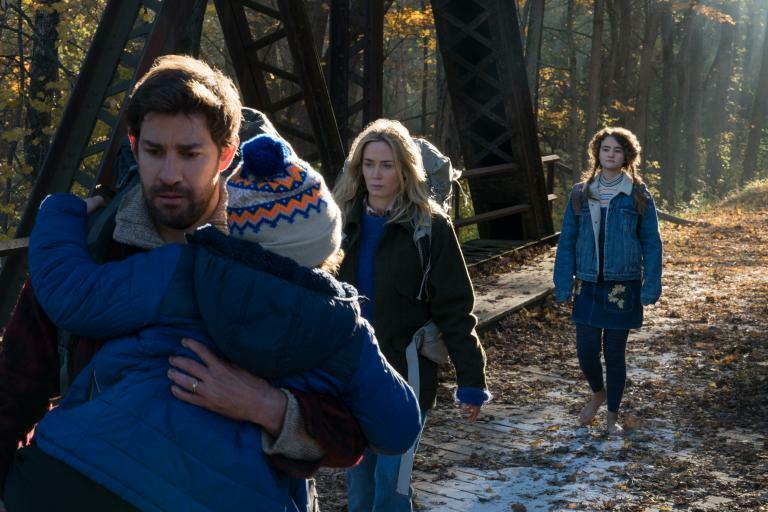 While this is the third feature film Krasinski has directed, he says his experiences as an actor helped him work with his cast and create a comfortable environment on set. For Krasinski, the film was the definition of a passion project. He sees it not merely as a horror film, or a movie he enjoyed making, but a deeply personal tribute to his family. 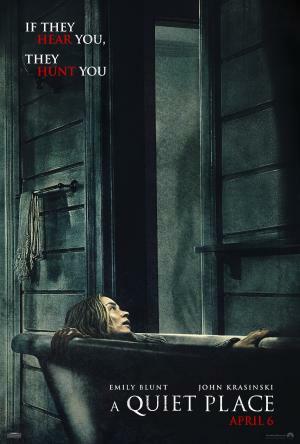 “A Quiet Place” opens nationwide on April 6, 2018. On April 3, an early screening of the film will be held at 7 p.m. at the Goldsmith Family Cinema on campus. Henry Spiro can be reached at hspiro@wesleyan.edu.